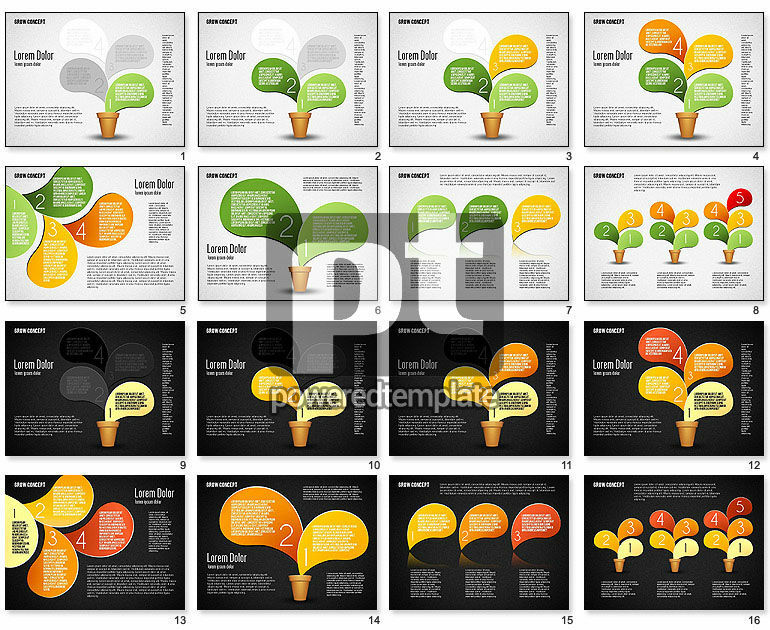 These presentation slides 42305 are complete compatible with Google Slides. Simple download PPTX and open the template in Google Slides. This incredibly stylish template will make your presentations complete and bright and help you to visualize your data in any kind of business. It has colorful text boxes which grow on trees, nice icons, numbers, etc. Also this set has two variations of color palettes. Use this magnificent theme for presentations related to cooperation, collaboration, partnership, sharing ideas and success results.